Most people associate lung disease as the main health risk of smoking. While cigarette smoke can have a negative impact on your lungs, this habit can also harm every other organ in your body… including your eyes. In fact, some eye health professionals have suggested that smoking can damage the eyes faster than other types of disease. Cataracts: The leading cause of blindness around the world is the formation of cataracts. Unfortunately, smoking doubles the risk of the development of cataracts. The risk goes up by three for people who are heavy smokers. Age-Related Macular Degeneration: This disease causes irreversible damage to the eyes, eventually resulting in blindness. As the macula deteriorates, so does your ability to see. It has been found that smokers have a triple risk of the development of AMD compared to nonsmokers. Also, the development of this eye disease can be as much as ten years earlier in life. Retinopathy: Even though retinopathy is often found in patients with diabetes, people who smoke also have a higher risk for this eye problem. Smoking affects oxygen levels in the blood, which can have an impact on the retina. Also, smoking increases the risk of the development of diabetes, which in turn boosts the risk of retinopathy. 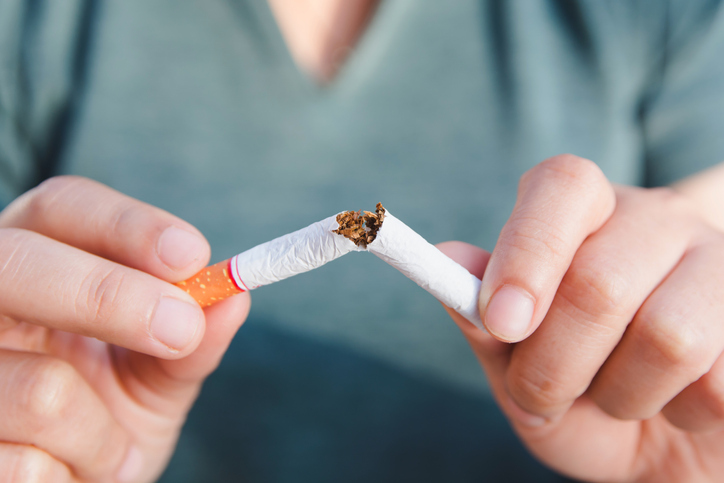 Smoking cessation can be a challenge, especially if you’ve had this habit for many years. The good news is that options are available to help you stay away from cigarettes. Some medical providers have said that smoking is a preventable cause of vision loss, which means that you need to make it a priority to stop smoking or avoid it altogether. You can make the right choice for your visual health when you stop smoking. Look for help from your family, friends, and local resources so that you can overcome this habit. Also, make sure to work with an experienced optometrist who can provide recommendations to protect your vision. Call our Temecula office at (951) 302-1331 or our Murrieta office at (951) 600-9226.